Vodafone Ghana has launched the Vodafone Appstore to help developers and users to showcase their relevant apps. The Vodafone Appstore is expected to promote Ghanaian innovators and local developers who publish their apps on the portal. The Appstore was launched by Vodafone Ghana in collaboration Meltwater Entrepreneurial School of Technology (MEST). Speaking at the event in Accra recently, Julius Owusu-Kyerematen, Director of Strategy and Innovation at Vodafone Ghana, said the main aim of the App portal is to promote Ghanaian innovators and developers who have worked so hard for years on their applications and looking for a way to market their apps to relevant audience. He said there were hundreds of locally developed apps that do not get the visibility that they deserve. 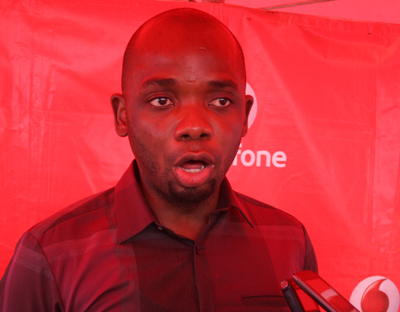 “It is for this reason that Vodafone Ghana decided to come up with an Appstore that is developer-friendly with focus on local, relevant content while giving subscribers the opportunity to still have access to a global range of popular apps. “As you know, the Google and Apple stores are huge and it is easier for your apps to get lost in there but with the Vodafone Appstore we actually showcase them permanently on the home screen. We believe that this would help the developers and the Ghanaian community,” Mr. Owusu-Kyerematen stated. He added that the Vodafone Appstore has developer portals at the backend where developers could access and publish their apps, adding that Vodafone would conduct checks to ensure that the apps met all the required standards before there are finally published. According to him, subscribers who use the Vodafone Appstore would also have the opportunity to participate in contests and win numerous prizes including smart phones and free data bundles. “Consumers’ needs are increasingly becoming very sophisticated and as a company we have made it our business to always be ahead of the competition in ensuring that customers are truly satisfied,” he noted. AkuaOdoom, Head of MEST, encouraged developers, including students of MEST to take advantage of opportunities offered by Vodafone to showcase their technological capabilities. The Vodafone Appstore is accessible on all major mobile platforms like Windows, IOS, Android and Java, among others. To access the appstore, smartphone users would have to visit appstore.vodafone.com.gh.